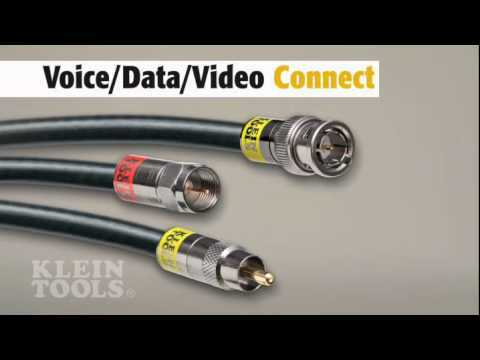 Professional tool for CATV, Home Theater, Satellite and Security System applications where reliable high-volume F-Connector installation is required. Plunger tip can be adjusted to allow assembly of multiple compression F-Connectors. High strength cast aluminum body for long life. Lateral design with split jaw for easy insertion and removal of cable and connector. Universal plunger tip, factory preset and calibrated for varied connector types (see table). Calibration/gauge block and hex wrench included. The noted trademarks are registered to the respective connector brands. WARNING: Always wear approved eye protection.